On this page you'll find some great suggestions for religious books for kids of all faiths: Christianity, Judaism, Islam, Buddhism, and alternative faiths like paganism and wicca. The page starts off with unpartizan religion books for kids. I truly believe that religion, in its various manifestations has something to teach us all. All the religions are beautiful and try to improve individuals and societies. Children will benefit from learning about all these faiths. On this page you will find children's books about all the world religions as well as spirituality. Overall, a society with religious and spiritual guidance is better suited to handle the changes around it. Too often, we tend to recognize religion with rituals. It is much more than that. Beneath the veneer, I think - all religions are same. This page will guide you to pages which have religious books for adherents of different religions. Hope you will like them. Let me know how these pages can be improved. Not precisely interfaith, these books transcend religious differences talking about God and how to live your life in a way that will appeal to kids born to parents of all faiths. These books will teach your child about God without settling them with dogmas. Outstanding introduction to world religion for young readers. Newly updated reference materials such as a glossary, map, timeline and bibliography complete this excellent book. Features over 50 full-color photos. I feel it is definitely important to educate our children on the worthy aspects of all faith and religion. And I feel it is extremely important to do so without bias so that children are raised to think for themselves based on their own understanding of that which they have learned. I believe we should teach our children the way of the world rather than our way; and thus, knowledge will be unfurled. Age 3-6: Little kids have a natural curiosity towards God. I remember avidly praying in my kindergarten, even though I'd been raised without prayer, for instance. A little girl keeps asking her parents where is God? And mom keeps coming up with answers, till in the end, the girl understands, a bit. Age 2-8: winner of two awards: the Benjamin Franklin Award and the Mom's Choice Awards. It received those awards for good reason: the illustrations are very well done and the whole of the book can be sung to the ABC song. What more can you want? Not much, surely. In personal stories and realistic pictures of kids around the world, this book will help your child empathize with children who live very different lives from their own and prepare them for a world in which diversity can't be ignored. This is a unique book: it introduces children who can only just read to the world's religions and philosophers. The content is probably a bit too mature for most 7-year olds, however a parent could use it to discuss questions about religion. The topics range from hair and clothing styles (very visible and talked about with kids) to deeper philosophical issues. Well illustrated, this book definitely deserves a spot in the school library. A sense of reverence is so important to engender. I wish I had had this around when my kids were younger, maybe I'll have to wait for the grandkids. 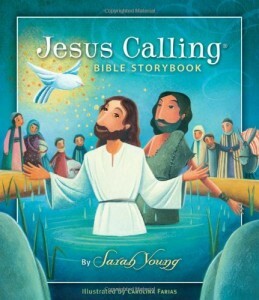 A nice book for a Christian family to share stories from the bible with their children. This is no thin little story book as it contains 256 pages with 49 stories originating from the Old Testament and 51 stories originating from the New Testament. The stories are aimed at children and the illustrations are modern and age appropriate. The author also provides suggestions for devotions for children. This 32 page book is designed for children to receive the message that God is everywhere and one can encounter His love in every day living. Little Sammy wants to look for God, literally. When sleeping under the stars and hiking a small mountain brings him disappointment, his Grandfather understands that Sammy wants to meet God like Abraham did or Moses did. Grandfather tells Sammy the story of another boy named Samuel in the bible who encountered God doing his daily activities. 32 pages. This book can be pre-ordered and will be available by May 1, 2013. A wonderful story book for children relaying the New Testament story of the birth of Jesus in a way that children aged 4 to 8 will comprehend, featuring the archangel Gabriel. Interesting illustrations to this age old story of Christmas. Mr. Sugarbaker is a candy maker who wants to share the story of Jesus through his candy. This 32 page books tells of the baker and his wife and their wonderful journey with what has become a favored candy at Christmas time. How is the candy cane related to Jesus? You will have to share the book with a child to find out. You have probably sang the Christmas carol about the little drummer boy but do you know the story behind the song? The little boy joined the procession going to Bethlehem with people bringing the Christ child gifts. The little boy was too poor for a gift, instead he plays his drum for the newborn baby. Reminding us all of the true spirit of Christmas. Traditional Buddhist tales told in a way that children can understand. The stories follow the Buddha in his different transformations and teach us all about the letting go of the negative emotions like anger and fear and to embrace the joy of life. Through stories and poems a child is helped to understand his or her Islamic faith in ways that a child can relate to and understand the meaning of. A girl feels guilty after buying candy that she is not allowed to eat because it was made with the by-products of pork. Another boy is troubled with himself when he shortens his prayers. Classic stories of the Jewish faith that bring together the written words of The Torah and the oral traditions known as The Talmud in a language that children can understand. What I like about this book is that there is a section after each story that encourages a child to consider something about the moral lesson involved in each story. From the Hindu religion comes stories of Krishna a child who was brought to earth by Vishnu to save the world. Krishna was a mischievous little boy so children can relate to his "humanness" as the learn of the bad demons and ways of the world that Krishna has come to destroy. A biography of Confucius for kids. Tells the story and moral compass of a man born in China in 551 B.C. and taught lessons of love, wisdom and compassion. People who follow his teachings number some 400 million with many residing in China. This book is great for children whose families adhere to Confucianism but it is also great for children of all faiths to understand his life and his teachings.